Frozen tuna head can be cooked into delicious meal if you do not know yet. 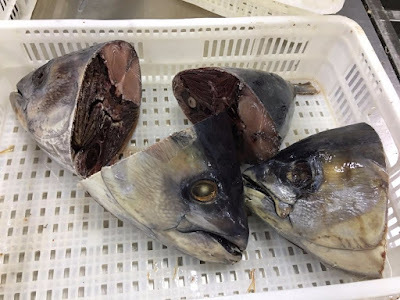 Many people often required the fish head being removed when they prepare and cook tuna fish, but you need to know that tuna head is edible to be eaten. 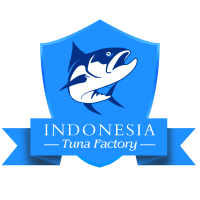 If you buying canned tuna, most of the product surely has been cleaned with the head and tails are gone and you just simply use the tuna body to prepare your meal. However, if you can get your hands for frozen tuna, some people often ask the fishmonger or fish market to remove the head as well. But, it is better to not waste that part and instead choose to cook the tuna fish along with the tuna head to experience different joy. 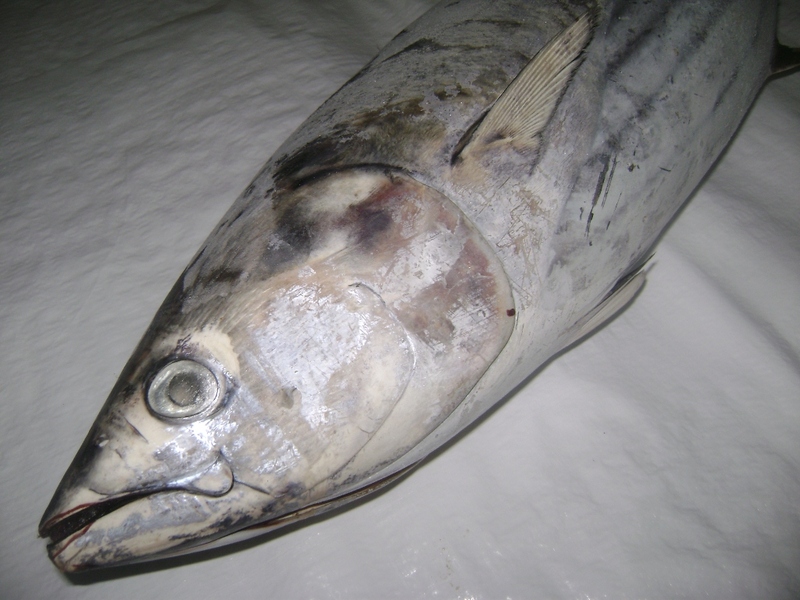 Why you should stop toss away the frozen tuna head? You need to stop toss away or remove the tuna head when eating frozen tuna fish. They are edible and in fact have a nice taste to be enjoyed. Frozen tuna head product can be cooked as a whole and you do not need to remove them off their head. Most of people like to eat the tuna fish as fillets by leaving the body and clean the tuna. Well, they even prefer to eat boneless and skinless tuna despite high quality nutrition offered in those parts. So, why you should sometime eat tuna head and not simply toss them away? It is because they are delicious as well; you need to experience some parts of the head like the tender meat along the jawbones or around the eyes socket. They are good indeed and thus instead of wasting away the head part, you should actually cook the tuna as a whole or even better try to cook tuna head alone. 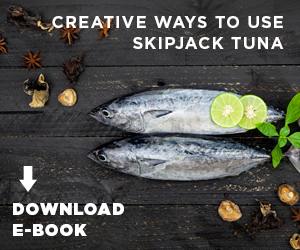 We all know that most of the tuna heads, tails, and carcasses are toss back to the ocean or at least processed into farm fertilizer or livestock feed, but with proper preparation and cooking, this frozen tuna head best product can be eaten with joy. So, it is the time that people need to serve tuna head on their plating. Another reason of why you should eat tuna heads is because in fact the fish bones, cartilage, fat, and brains are nutritious because they contain high levels of vitamin, iron, omega 3 fatty acids, calcium, and zinc. Using the heads as human food can help to reduce pollution as well from processing facilities. How to prepare your frozen tuna head at home? Of course not all cultures avoid eating tuna heads because there are some countries like to eat fish heads as their traditional dishes. 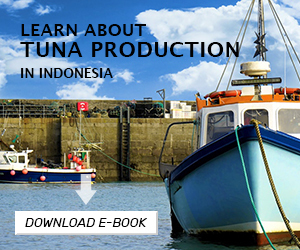 Today you can also learn how to prepare frozen tuna head recipe by following these instructions. 1. 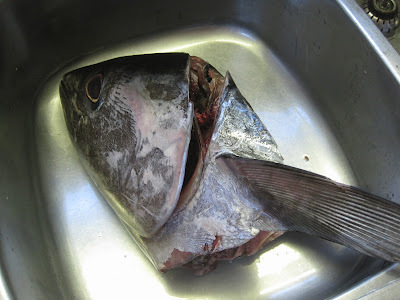 First you need to find a good frozen tuna fish head with clear and bright eyes without weird or off fishy smell. If you purchase a big tuna head then you need a large pot to cook the tuna head. After that simmer the ingredients until it reduced to 1/3 in a large sauce pan. The leftover sauce will be used when the cook is done. 3. Place the tuna head in a large pot and since we use frozen product, you may need to thaw it the fish overnight in refrigerator. After that sprinkle some salt and let it sit for few minutes to release the fishy smell. Rinse with cool water. 4. Mix and bring together ½ tuna prepared sauce and ½ water to boil. Insert the tuna head and stem the fish for 30 minutes. 5. Remove the head from the pot and the put the tuna head to aluminum baking dish. Preheat the oven to 350 degrees. 6. Baste with the tuna prepared sauce from before and then bake the tuna head for 30 minutes or at least until browned. 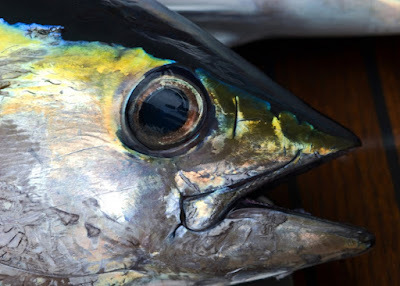 Try above tuna recipe to make delicious frozen tuna head recipe and try the eyeballs or the cheek plus collar parts for the best enjoyment eating tuna head.